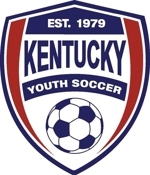 KYSA has revised the rules for U-9 and U-10 select and academy teams. Please see the New policy below (and attached) regarding U9 Academy/Select and U10 Select that will be in effect beginning with this fall season. We wanted to get this update out to all clubs prior to the tryouts for these age groups for next year. Please forward this information on to those in your club responsible for these age groups. Rationale: The seasonal year is September 1 thru August 31. Therefore the US Youth Soccer rule means that on September 1, you look back to the date the player was one month earlier which is actually in the immediately prior seasonal year. b) If a player who has not turned eight (8) years of age before the first day of August of the immediately prior seasonal year wishes to play select or Academy then that player may not play up more than one single birth year. c) A player must turn seven (7) years of age before the first day of August of the immediately prior seasonal year to be rostered or guest play on a select level team or Academy. a) A player must turn seven (7) years of age before the first day of August of the immediately prior seasonal year to be rostered or guest play on a select level team or Academy. b) If a player who has not turned seven (7) years of age before the first day of August of the immediately prior seasonal year wishes to play select or Academy then that player may not play up more than one single birth year. a) No U10 select team(s) may roster, or register as guest players, more than three (3) players who have not turned nine (9) years of age before the first day of August of the immediately prior seasonal year. (1) under 19 years of age. (2) under 18 years of age. (3) under 17 years of age. (4) under 16 years of age. (5) under 15 years of age. (6) under 14 years of age. (7) under 13 years of age. (8) under 12 years of age. (9) under 11 years of age. (10) under 10 years of age. (11) under 8 years of age. (12) under 6 years of age. The previous rule limited the number of players that were 7 years of age that could participate in the Academy or U9 select teams. This updated policy allows clubs to make the decision on which 7 yr olds they feel are qualified to participate in the Academy or select teams. It gives clubs more flexibility as to the players they keep in their Academy or select teams. This new policy limits the number of U9 players that can play up on a U10 team in order to maintain the integrity of the U9 Academy or select program. This policy still allows clubs the flexibility to move players up (3 per team) if feel they are qualified but still keeps those players that need to be in their true age group at the appropriate level for developmental reasons.